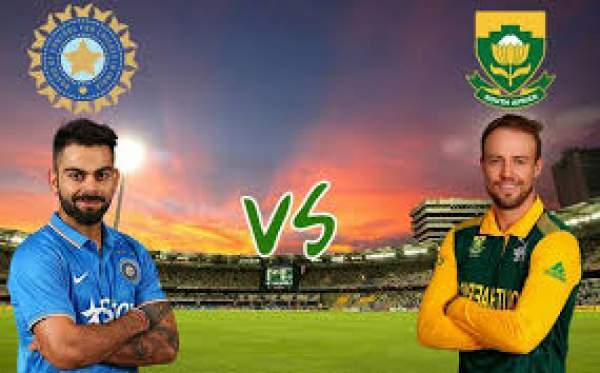 India vs South Africa: The IND vs SA 5th ODI live streaming will be available on Sony ESPN, the official broadcaster of the tournament. You can also watch the live cricket match score today online on various other portals like crictime, smartcric, hotstar, sony six, sonyliv.com, etc. The India national cricket team is leading the series by 3-1. The men-in-blue won the first three matches of the six-game series and thus were eyeing for a clean sweep. However, the Proteas won the fourth one and kept their hopes alive. It’s still a do-or-die match for them because if India happens to win it, they will win the series. The Proteas won the fourth match by DLS method as it was a rain-affected game in Johannesburg. In that particular game, India batted first and SouthAfrica came out to chase 202 runs off 28 overs. They did it with 15 balls still to be bowled. Indian skipper Kohli admitted that the hosts played it better and pulled through it and thus managed to win. India had got a very good batting start but couldn’t continue after the lighting break in the first innings. Today’s match is going to take place at St. George’s Park which favors batsmen, usually. Including this one, there are two more matches still left to end the on-going series. After that, there will be a 3-match T20 series. With a 3-1 lead, India will play South Africa in Port Elizabeth. The match will start at 4:30 pm IST and the toss will take place 30 minutes before that. The live coverage will begin at 3:30 pm IST on tv channels. Sony Ten 1 and Sony Ten 1 HD will provide the coverage live in English commentary. For Hindi viewers, they can switch to Sony Ten 3 and its HD version.